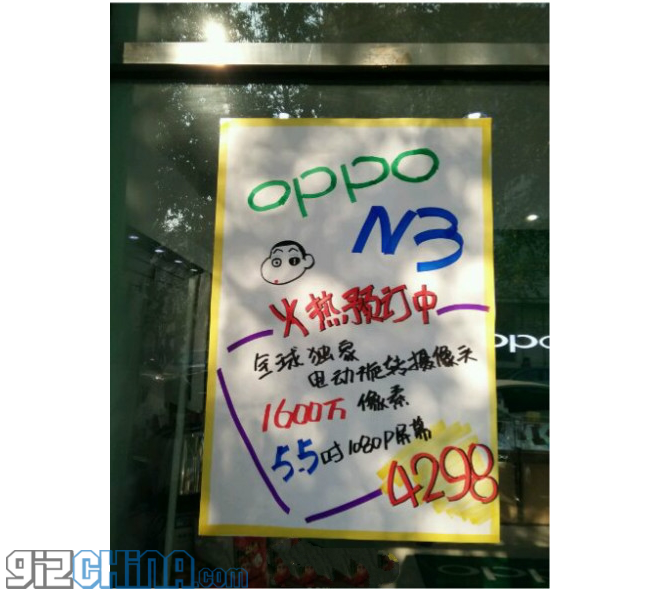 Oppo’s physical stores in China have begun pre-orders for the Oppo N3 smartphone and are confirming some of the specs of the new camera centric handset. 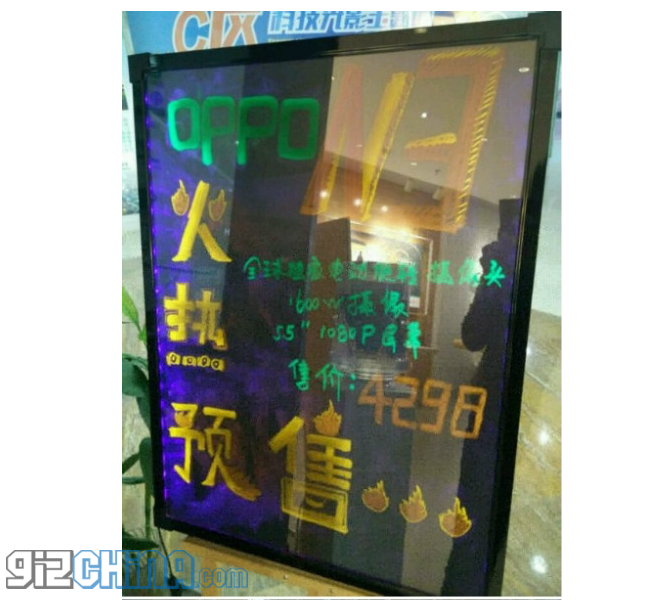 In China Oppo have hundreds of physical stores, and just as we saw ahead of the Find 7 launch these stores have already started to accept pre-orders and are confirming the price of the companies new phone. These hand written signs are typical of what you will find outside official Oppo stores in China and confirm a few details of the phone. Even if you cannot read Chinese you will be able to make out that the display on the N3 is a 5.5-inch FHD 1080 unit and that the rotating camera is a 16 mega-pixel. The prices is also also mentioned to at an incredible 4928 Yuan! That’s around $700 USD! Double the cost of the IUNI U3, Xiaomi Mi4 and Meizu MX4! Not a cheap phone! As for the rest of the sign well it reads the Oppo N3 is for pre order and the phone is the first in the world to have an electronic moving camera, so those motorised camera pod rumours from earlier today could be true!